Below, if you click on the name of the book, CD or method, in most cases that will bring you to the link for how to buy it. There are also some great books out there that are either out-of-print or not available on the Internet, and I wanted you to be aware of them anyway. If you wish to find those, I have given links that should provide a lead, and you also might check with your local library or university music library. I hope this list of resources helps in your learning, teaching and exploration of fiddle music. If you have additional resources to share, please do so in the comments section or e-mail me with your ideas. Enjoy! For kids that want to learn Irish tunes. Five books, plus his Fiddle Workshop I and II. Hard to find! Consider looking in a library for this book. Beginner and first-position pieces, arranged in order of difficulty, with piano accompaniment. Arrangements from the Canadian band "Barrage," which performs a mix of fiddle, folk, and world music. Intermediate-advanced. Mel Bay has more books for fiddle than anyone can possibly describe. Explore them with the link above. Three volumes of Scandinavian fiddle tunes. "Fabulous!" "This is not a method book, and it isn't really a 'fakebook' in the sense of giving a barebones melody with chord analysis, but it is a good place for teachers or students to go to if they want some ideas about what a particular tune could be like but they don't have a recording or a fiddler handy to go ask. As fiddle tunes morph with age and location, it's only a snapshot of what some fiddlers of the time were doing in recordings, at the time of publication, not a source for what a tune is in it's basic format," said Jenny Visick. 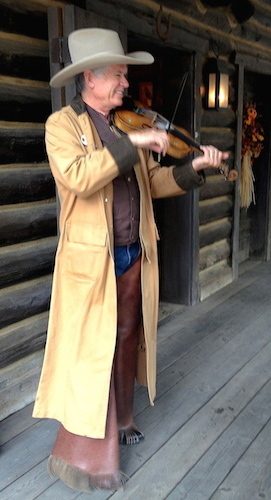 Andrew Carlson provides a detailed technical analysis of Missouri-style fiddling, focusing primarily on the use of the bow. Carlson further offers a comparison of classical and non-classical techniques, a brief history of American fiddling, plus 23 traditional tunes with authentic bowing indications. A CD recording of the tunes is included. Great for the intermediate-level student. Also available in Solos for Young Violinists, Vol. 2 by Barbara Barber. Tunes by British fiddler Pete Cooper, all published by Schott; each book comes with a CD of the tunes played by Pete Cooper. "I am a classroom teacher, but I like Fiddlers Philharmonic. It has easy to make into arrangements versions, and solo versions of each piece in each book," said Kristen Herbert Vance. Traditional Bluegrass Fiddle Tunes that correlates with Suzuki Method Violin Books 1 and 2. Compiled, edited, and arranged by Lisa Deakins. This book and digital recording set includes more than 15 solo tunes, several ways to begin and end tunes, and twin fiddling duets. Book and CD with original tunes in the styles of: Irish Fiddle, Smooth Jazz, Jazz Blues, Rock, Middle-Eastern, Old-time Fiddle, Salsa, Heavy-Metal, Cajun Fiddle, Rock Blues, Swing Jazz, Funk. Aimed at teaching improvisation. By Deborah Greenblatt, the past Nebraska State and Mid-America fiddle champion. Contains many tunes from hoedowns to waltzes of all levels of difficulty. Tips on how to buy and take care of a fiddle; performing in fiddle contests; what to do and what to play; backup techniques; and much more. This is just one of an extensive fiddler series by Edward Huws Jones, who has also written an entire series of Fiddler books for students including Celtic, Greek, French, Klezmer, Christmas and more. An exploration of fiddle and violin styles, with dozens of left- and right-hand exercises and tunes designed to help develop the feel of a variety of styles and ways they can be used for improvisation. Focus on bluegrass and country, covering right-hand techniques, double stops, slurs and slides; with 29 bluegrass and 14 traditional tunes in standard music notation. The Maine Fiddle Camp website has a tunes section with sheet music and mp3s of many popular fiddle tunes. By the creators of Barrage, fiddle tunes for the beginning and intermediate student. With piano and guitar accompaniments available as well as a CD. The histories are with the pieces, and it includes a super helpful CD, making it a fine resource. Pieces can easily be made more challenging if needed. Students of all levels love them. 117 reels and 52 jigs. Great for combining tunes in similar keys, easy to read. With chords. Volume One contains Hoedowns, Breakdowns, and Reels. A huge online collection of Celtic and American fiddle tunes. Two volumes. Hundreds of jigs and reels from the Portland, Oregon contra dance repertoire. Irish, Scottish, Québécois, Appalachian, and New England genres are represented. The tunes are both traditional and recently composed, from local treasures to national contra dance standards. There is an extensive commentary on every tune including stories about the tunes from their composers. There are chord suggestions, a discography, a bibliography, and more. Little, if any, overlap with the tunes in the Fiddler's Fakebook. Ashokan Farewell is best known as the theme from Kenneth Burns' Civil War television documentary. This is the music to Jay Ungar's authorized solo edition as performed in the documentary series, arranged for violin with piano accompaniment and suggested chord symbols for optional guitar and bass. Also by Jay Unger, Lovers Waltz. American-Irish music from this family band, which also holds summer camps and workshops. Has different versions of songs - basic, then rhythm and/ or bowing variations. The method uses traditional tunes in a step-by-step progression, and covers important concepts like ensemble playing, improvisation, and 'jamming' skills. The book includes a CD for listening and play-along. Volume 1 is geared towards beginning to intermediate-level players. Three progressive volumes of jigs, waltzes, reels, marches, as well as Old Time, Celtic, Eastern European, and North American tunes. CD included with three tracks per song: one performance speed, one practice speed and one accompaniment only.Canadian fiddler Zav RT composed and recorded these works. Great fun! Extensive background information, maps, photos, and chords. The book has 122 reels, 6/8s & waltzes, including all the tunes on the CD. Co-author is pianist Greg Sandell. She has a mixture of Euro- American music. "Tunes 2001" includes two CDs with 65 well-known tunes from Scotland, Cape Breton, Ireland, Quebec and New England, each played fast and then slow. A great way to get better at learning by ear. Volume 1: 250 fiddle tunes learned from master fiddlers Rufus Guinchard and Emile Benoit. Easy-to-play, Newfoundland fiddle tunes. Old favorites (like Mussels in the Corner, Auntie Mary, She Said She Couldn’t Dance and Now I’m 64) along with many unique tunes never previously published. Graded in order of difficulty for fiddle. Compiled by Gordon Stobbe, he has three fiddle books, plus he Fiddler's Red Book of Scales and Arpeggios and a book of Waltzes. Stobbe contacted fiddlers and asked them to list the most commonly played tunes at jams & dances and compiled this lists into these books. CD with each volume. Books and CDs of jazz standards -- kind of a karaoke system for practicing jazz improv. Nice jazz duets for the intermediate to advanced student. His website also includes Mexican, Tango, and lots more Jazz, including Dave Brubeck for string quartet. A comprehensive method for playing "hot fiddle," including accurate transcriptions of over 25 solos as played by Grappelli, Joe Venuti and others. Also includes original interviews and tips on improvising from the masters, a complete analysis of each solo, rare historical photos, and an informative discography. A comprehensive and popular body of instructional materials for "improvising string players." School workshops for kids by electric violinist Mark Wood, with arrangements of classic rock and contemporary music. About 40 melodies, arranged in pedagogical order, with a history and settings when available, along with photographs, teaching points and changes that were made to the original transcriptions, with CD. To be published in 2015. Fun tango duets for the intermediate student. Many thanks to the following teachers for contributing to this list: Jody Harmon, Kristen Herbert Vance, Becky Lennon, Sarah Montzka, Laura Dalbey, Martha Yasuda, Marcos Kreutzer, Jenny Visick , Michael Fox, Redding Farlow Soderberg, Danielle Gomez, Göran Berg, Julianna Chitwood , Douglas Locke, Keenan Christensen Fletcher, Suzanne Edwards, Linda Louise Ford, S Ann Schluter, Rebecca Appert Kaltz, Julie 'Bamberger' Roubik , Sarah Skreko, Rafael Videira , Nathan Allen Wood, Vera Dragicevich, Laura Nerenberg, Aimee Morrill Briant. Thanks also to Kerstin Wartberg and the Suzuki Teaching Ideas Exchange Facebook group. December 16, 2014 at 02:36 AM · The Maine Fiddlecamp website has a tunes section with sheet music and mp3s of many poluar tunes. December 16, 2014 at 02:39 AM · This is one of my favourite resources for fiddle music. December 16, 2014 at 03:07 AM · Wow!! Thanks for this stupendous compendium (neologism: stupendium)! Let me put in a plug for Brian Wicklund's books, they're really high quality, and he has one that is Canadian fiddle tunes that he did in collaboration with April Verch, which wasn't mentioned in your Canadian list, but it's real good. Suzuki teachers will appreciate how Brian recommends very standard classical hand positions and other aspects of basic technique. December 16, 2014 at 04:17 AM · This is a great list but I hope that people will remember that fiddling is primarily an aural tradition and the various styles typically have elements that are impossible to notate with printed music [unless like in the DunGreen collection, the author invents notation additions to capture the intricacies], and also contain some degree of improvisation. The "dots" are most useful once you are well-versed in a folk style and and can use them as a framework and fill in the gaps. Listening to and learning from other fiddlers, ideally in a live situation where you can get a feel for the improvisatory aspects, is essential for mastering any fiddle style. December 16, 2014 at 05:30 AM · Tom Morley's Irish fiddle book(s) are great! The histories are with the pieces and it includes a super helpful CD making it a fine resource. Pieces can easily be made more challenging if needed. My students of all levels love them. December 16, 2014 at 07:38 AM · It's good to have start somewhere, even if it is out of a book. If you don't have the resources to fly an actual airplane, a flight simulator is still quite enjoyable, educational, and a way to at least get a start on figuring out the basics. December 16, 2014 at 12:11 PM · What about blues? I've been practicing with "Blues Fiddling Classics", by Craig Duncan, and "Rockin' Out with Blues Fiddle" I think violin is a great instrument for blues. Each book comes with a CD of the tunes played by Pete Cooper. December 16, 2014 at 02:46 PM · Really true, that it's an aural tradition, and that makes the relationship with (and integrity of) your teacher ever the more important! But for people who don't have that kind of access at the moment and wish to explore, I hope this helps. A number of my own students go to a bluegrass festival every year, and they just get out their fiddles and play whatever is in the air. I can't imagine that anything beats that! Also, keep the suggestions coming! I'll compile them, format them, and add them. Also, include links if possible. December 16, 2014 at 05:19 PM · For folks with an interest in Jazz, there is "Jazz Violin" by Matt Glaser and Stephane Grappelli. I'm not sure if it is in print, but there are some for sale on E-Bay. December 16, 2014 at 07:49 PM · Even for an aural tradition, it's nice to have sheet music if you know how to use it. For instance, I've spent enough time with Irish music that I can read down a jig and it will sound like a jig. It's a cheap shortcut to learning it by ear, yes, but sometimes it's worth it and/or necessary. Thank you for this wonderful list, Laurie.